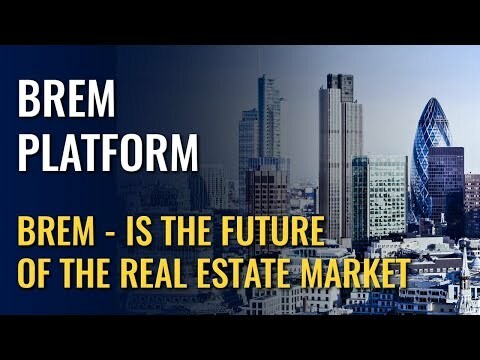 Created by the BREM team, the portal is a new generation site, with a unified international real estate base, a set of technological services for transferring assets of the global real estate market, as well as a blockchain-register of property rights. The task of the platform is to simplify communication between international state organizations and to ensure the most accessible process of buying real estate online. On the website the developers, real estate agencies and investors (buyers) will be able to make transactions for the purchase of real estate or its part from any region of the country and the spot of the world, having at hand all the necessary additional tools (mortgage, legal support, booking and registration of the transaction, etc.). The data on transactions will be transferred to state-owned blockchain registries, and in parallel, its own register will be created, in which the history of the objects is stored. The BREM portal is a new generation platform created for easy investment in real estate projects from any region of the world. The user will have all the necessary tools at disposal (mortgage loans, legal support, transaction registration, etc.). In addition, developers can promote their real estate projects and attract investments for construction. Major highlights - Investment in real estate from as less an area as 1m². Purchase of real estate with crypto currency; Buying a property anywhere in the world without personal presence and unnecessary bureaucratic processes. Reducing the cost of the purchase transaction.